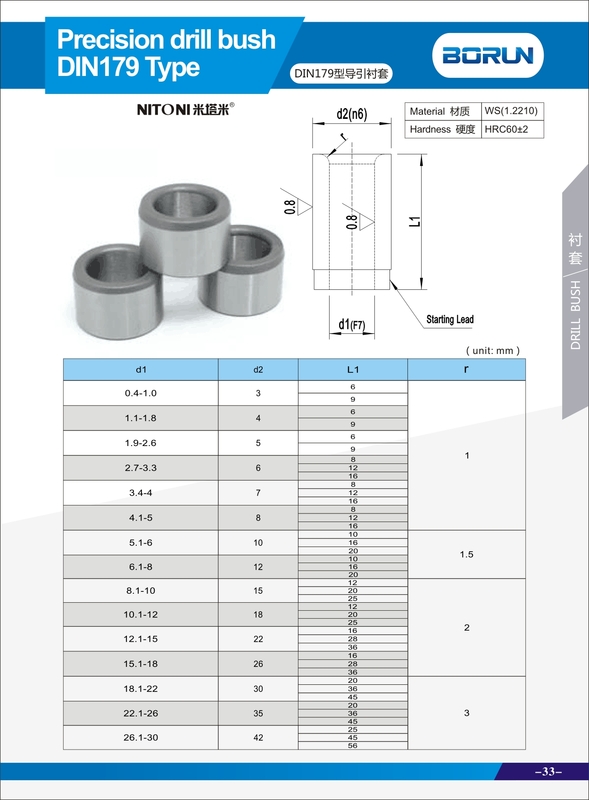 Drill guide Bushing DIN179 for ejector mould is made from WS material ,The hardness is HRC62±2.If you need more information,please kindly check our following product informaton:OEM drawing is available against request. Looking for ideal DIN179 Drilling Bushing Manufacturer & supplier ? We have a wide selection at great prices to help you get creative. All the DIN 179-A Guide Bushing are quality guaranteed. We are China Origin Factory of DIN179 Drilling Bushing for Mould Components. If you have any question, please feel free to contact us.